The best Las Vegas shooting activities and adventures for tourists and locals range from traditional target shooting activities to interactive Zombie Apocalypse adventures. If you’re looking for a fun, family-friendly activity, consider a Paint Ball or Water Gun battle. 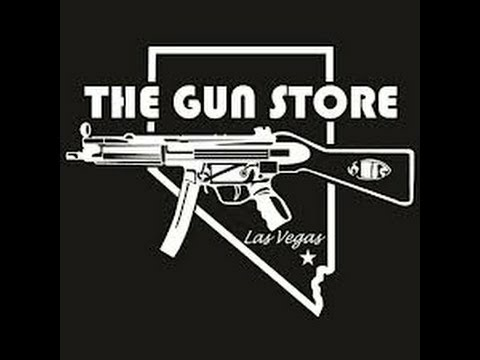 The Gun Store Las Vegas caters to locals and tourists from around the world! Due to a range expansion project, The Gun Store now offers twice as many air-conditioned lanes to shoot in (30), featuring 2 new large VIP Ranges with 6 lanes in each. Choose from more than 60 types of firearms, including full automatic machine guns, semi-automatic rifles, handguns, and shotguns. Guests can also choose from a wide variety of targets to take aim at, ranging from your standard bull’s-eye and silhouette, on up to their very popular zombies, terrorists and hostage scenarios. Range Safety Instructors are provided for all shooters. Machine Guns Vegas combines safety along with a variety of guns only found in a military training facility, all within a premium Vegas lounge setting. MGV caters to all shooter levels, from firearm enthusiasts to beginners who want to experience the adrenaline of firing a gun for the first time. No matter your level, you’ll experience a thrill-a-minute in true Vegas fashion. 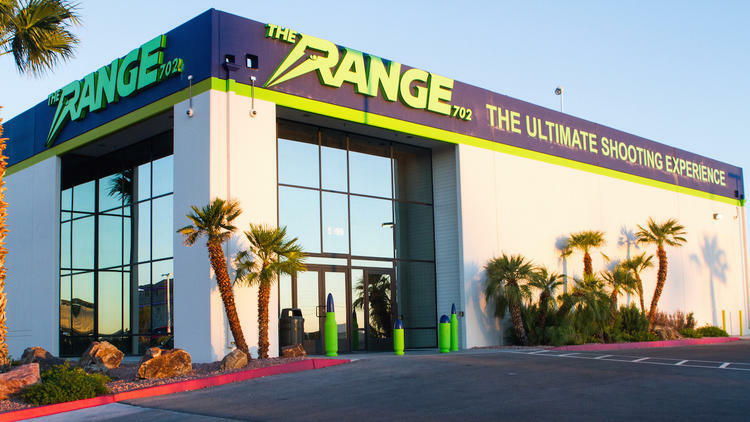 The Range 702 is the largest indoor shooting range in Las Vegas and promises the Ultimate Shooting Experience. Located just a few minutes from the Las Vegas Strip, the range offers 16 dedicated shooting lanes - including four custom engineered VIP lanes. This Las Vegas shooting activity offers a VIP experience that includes a private hostess, bar, restaurant, LCD TVs, pool table, and private restroom facilities; ideal for celebrating a birthdays and anniversaries, corporate events, or bachelor parties. Save the world from zombies in a post-apocalyptic battle zone. Guests are prepped for their mission and the get outfitted with non-lethal weapons and tactical gear. Learn how to complete your mission, obtain tactical information on how to operate weapons, gathering intelligence, breaching and clearing rooms, rescuing hostages and more. 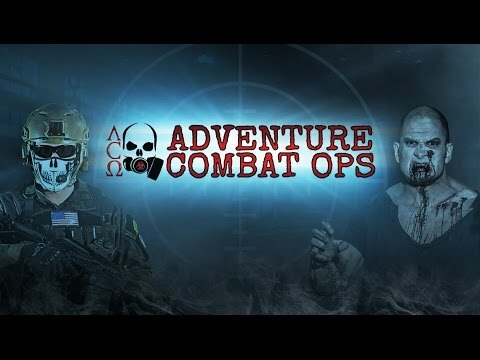 The Adventure Combat Ops facility features an indoor apocalyptic-themed city where guests complete missions and test their skills on zombies to save the world. The environment is made realistic with fog machines, sound systems, specialty lighting, scent machines, and video projections. The action is captured by cameras, embedded photographers, and videographers. The Zombie Apocalypse Shooting Experience is a complete interactive recreation of what will happen in the event of a Zombie Apocalypse. 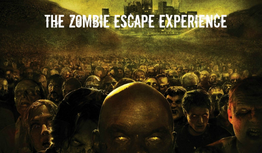 After you enter the experience, you become part of othe "Zombie Assault Team" of Zombie killers. Your mission is to clear infected Zones 1 through 4. Your objective is complete after you put down as many Zombies as possible without getting eaten and safely exiting Zone 4. It takes approximately 45 minutes once you start your safety, and gun training. Paint Ball Rental Package Includes All day air & admission from the time you arrive until close. Marker (Gun), Mask, Hopper and Tank. A chest protector is free for girls. $5 extra for boys. Paint is extra. How much paint will you need? 500 rounds last one player about 1-1/2 hours - use this information to calculate how much you will need. Bring your own gun or use one provided by Combat Zone Paintball. Book on-line now to make sure your gun is available. If you need water balloons for the sling shot, they can be purchased at the store. If you purchase the Splatmaster Kids Party, there is an option to add Super Soaker to your party at a discounted price during checkout as an add-on.